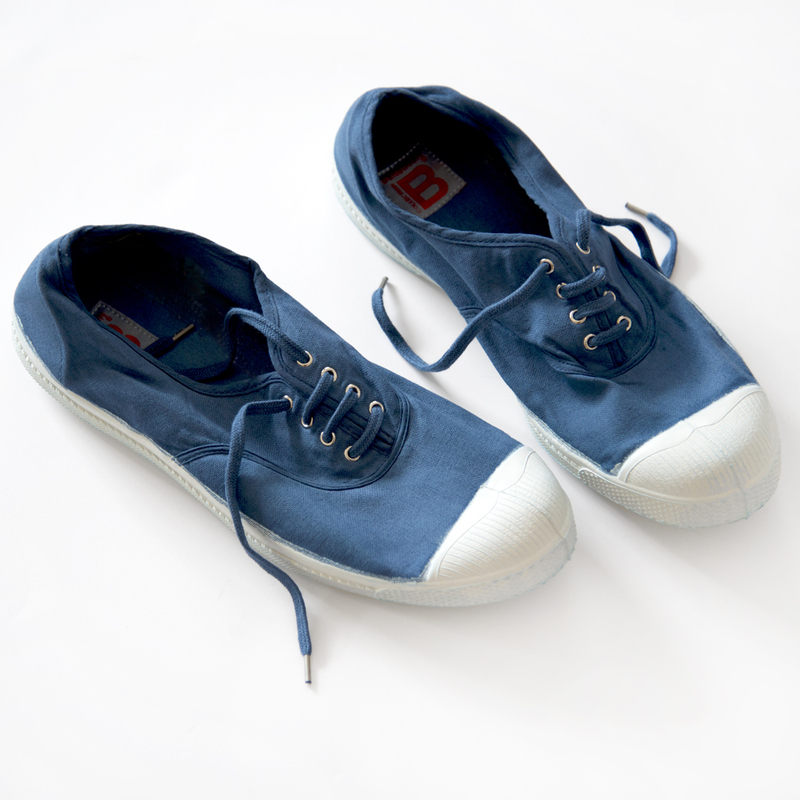 Inspired by the pragmatic good looks of American military sneakers, these understated yet undeniably cool kicks have been international cult favorites since the 1970’s. 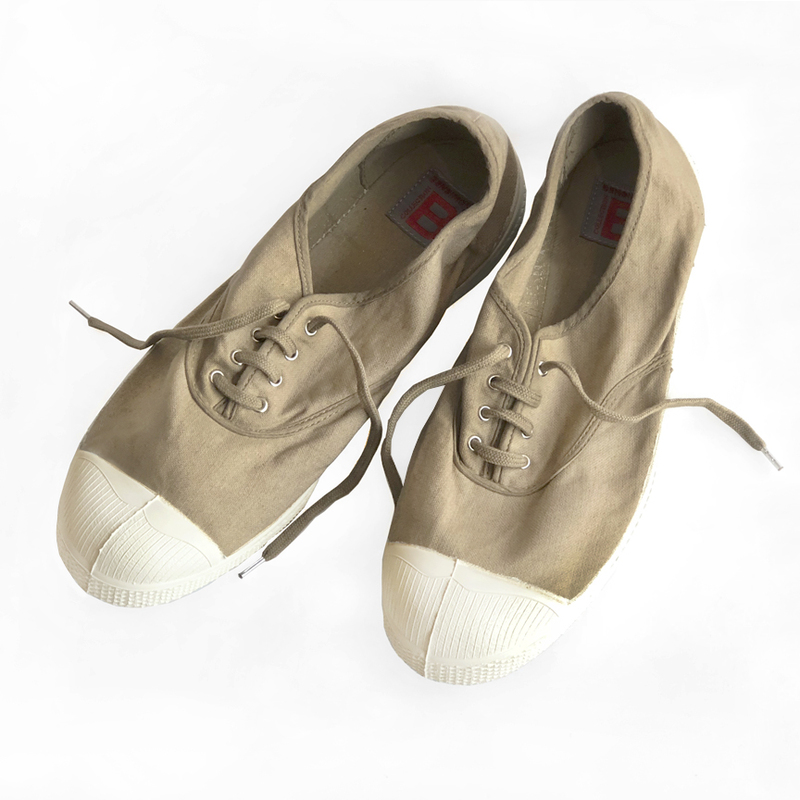 Brand founder Serge Bensimon started with soft washed cotton canvas custom dyed in a palette of sun-washed colors, and added flexible rubber soles and textured toe caps—a leisurely lived-in stamp of style for pants and shorts of all sorts. 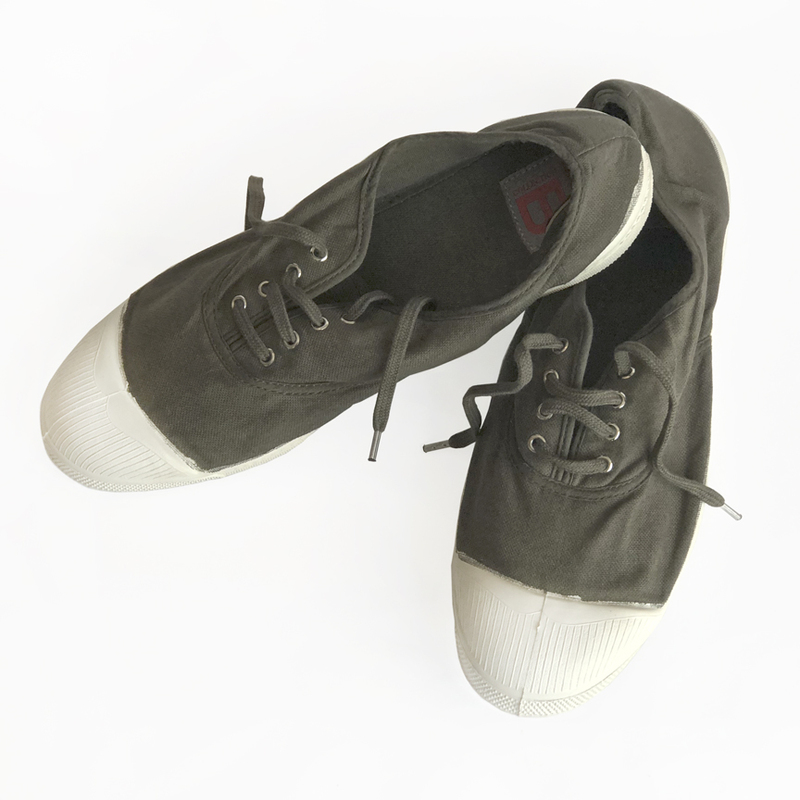 Unisex European sizing. Almond Milk and Rosehip oil soap is high in humectant value, which means it’s formulated to be so gentle it can be used on face and body alike. The almond milk works gently with oat flakes to massage and cleanse the surface of the skin while the rosehip oil follows behind, healing, smoothing and protecting as you scrub. 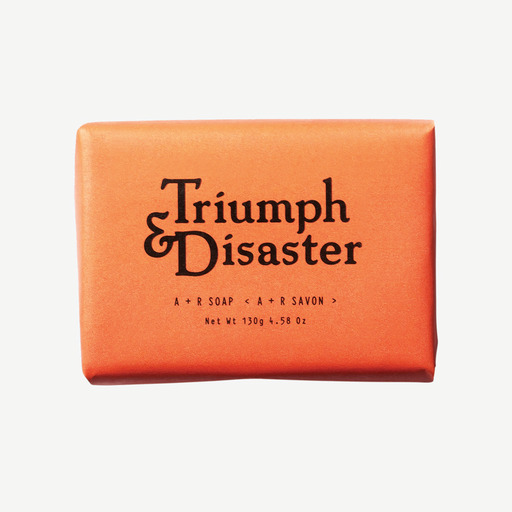 Created in New Zealand, Triumph & Disaster is a modern apothecary making men’s skincare and grooming tools with old fashioned values and a little rock & roll swagger. Truth be told, people of all genders covet these products because they deliver fantastic (and fantastic smelling) results. 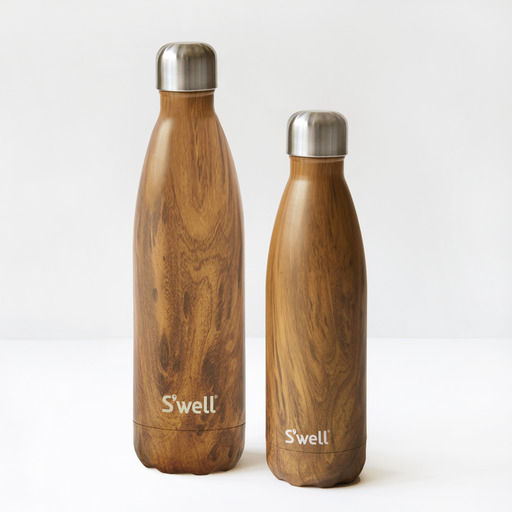 Pleasing to the eye and easy on the environment, these brainy bottles come in three beautiful wood-grained patterns with a smooth matte finish. Fully insulated and made of double-walled, high grade stainless steel, drinks stay cold for 24 hours or hot for 12 without any condensation on the outside, ever. Each boasts an opening wide enough for ice cubes, and will even keep carbonated beverages fizzy. The 17 oz fits perfectly in a standard size cup holder. 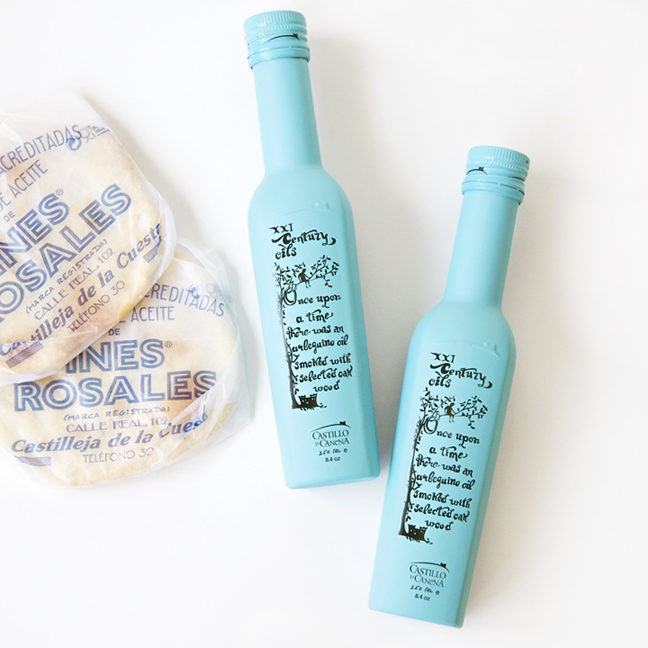 The 25 oz will hold an entire bottle of wine—what a swell way to picnic! Some time ago a dear friend returned from a European romp and gifted us with a bottle of this amazing olive oil from Spain. In the weeks following, we planned almost every meal around the smooth, smoky flavors of this exceptional oil—we just couldn’t get enough of it. Made exclusively from Arbequina olives, this extra virgin oil is slowly infused with naturally produced smoke from a mix of oak, beech, and birch wood over a 6-hour period. Divine on its own, or drizzled over a bowl of simple pasta, it immediately elevates even simple food to new gastronomic heights. How do you turn airline pretzels into something like a party? 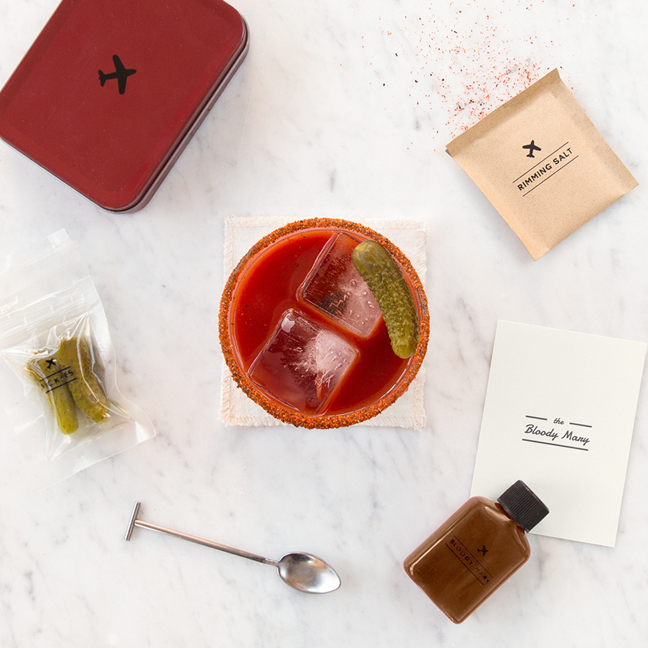 Simply pull this kit out of your bag mid-flight and mix up your own Bloody Mary cocktails! Add gin or vodka—easily procured from your helpful flight attendant—add the small batch Bloody Mary mix, and garnish your concoction with spicy salt and piquant pickles. 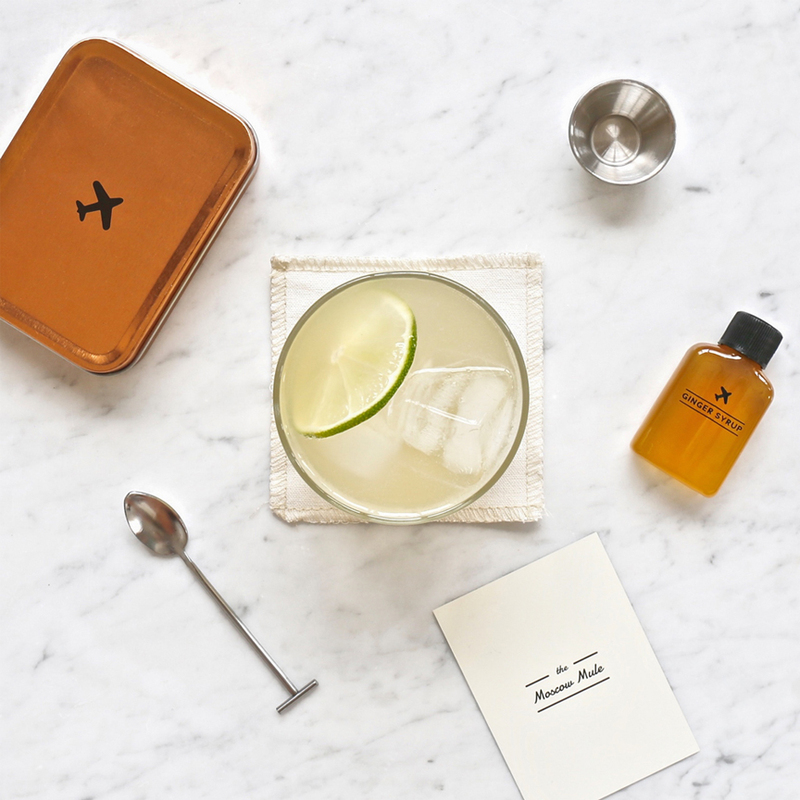 This clever travel tin comes packed with the tools to mix two refreshing Moscow Mules mid-flight, including a bold and spicy small-batch ginger syrup. Ring the flight attendant and request the hard stuff and you’ll have everything necessary to craft two cocktails that will refresh and delight as you sally forth through skies both friendly and turbulent. There was a time when air travel was a pleasant, even civilized affair. It’s time to take matters into your own hands! Your flight experience (and your mood) will be instantly elevated when you whip out your very own Carry On Cocktail Kit. It includes nearly everything needed to craft two delicious Old Fashioned cocktails mid-flight—you need only add the hard stuff.